The anti-basset is up to his tricks again! You are here: Home / Bassets / The anti-basset is up to his tricks again! 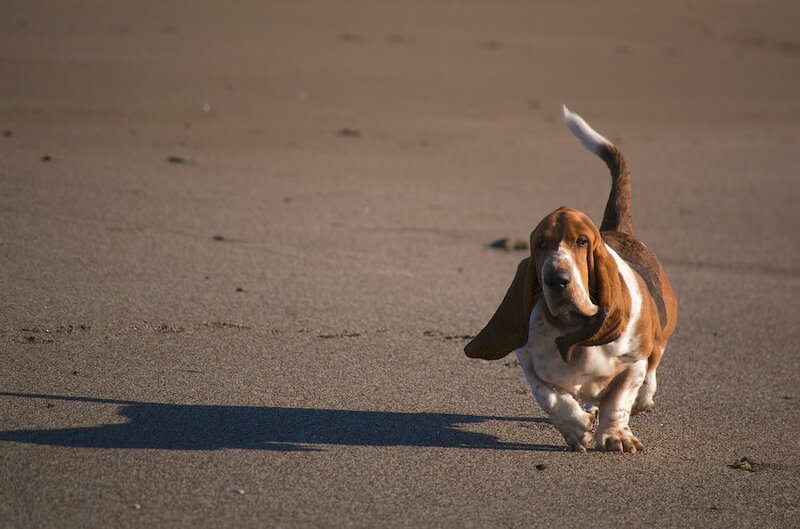 He may not be our water babe but Little basset is a beach babe. So much space to run and prance around in. Not to mention the sniffing options which are almost limitless. It was hard keeping track of where he was with his tendencies to head for the dunes and following the smells of the steaks from people’s BBQs in the properties that lined the beach. That and more disgusting things. For Mason is our anti-basset (see below for more!). Quite apart from being a total show off Fortnum tends to have slightly better manners when it comes to beach combing. Here he is strutting his stuff and sniffing the breeze. His errant brother is however up to no good. 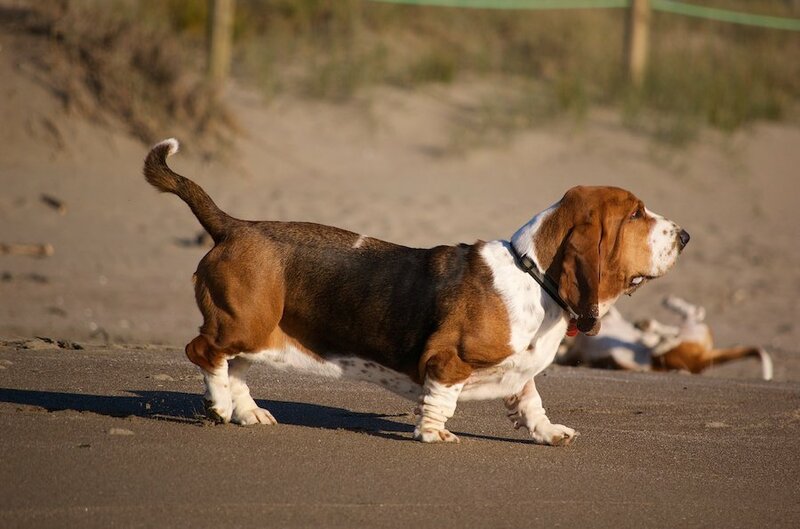 See in the background those tell tale signs of basset legs waving in the wind? That is Mason the monster basset rolling around in a dead bird. I have no idea where he learned these gross tricks from! But learned them he has. to us it’s gross, to them it’s parfume! !